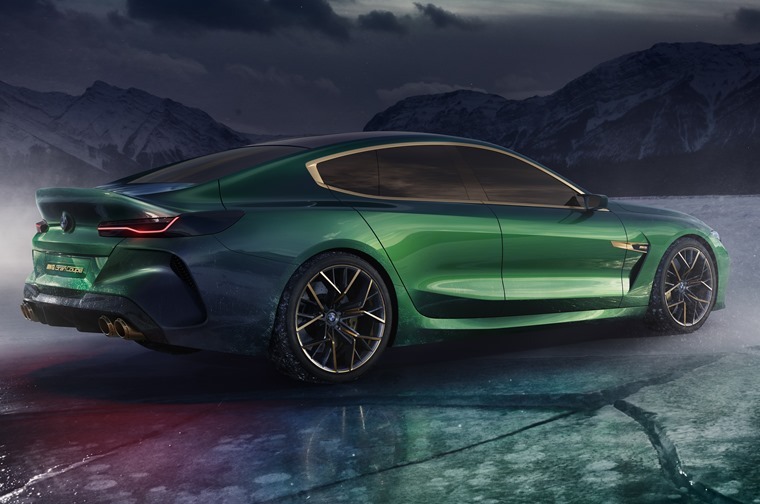 Let us introduce the car taking pride of place on BMW’s Geneva Motor Show stand – the M8 Gran Coupe. It’s a super fast, super luxury four-door variant of the upcoming 8 Series, and it’s headed for production. 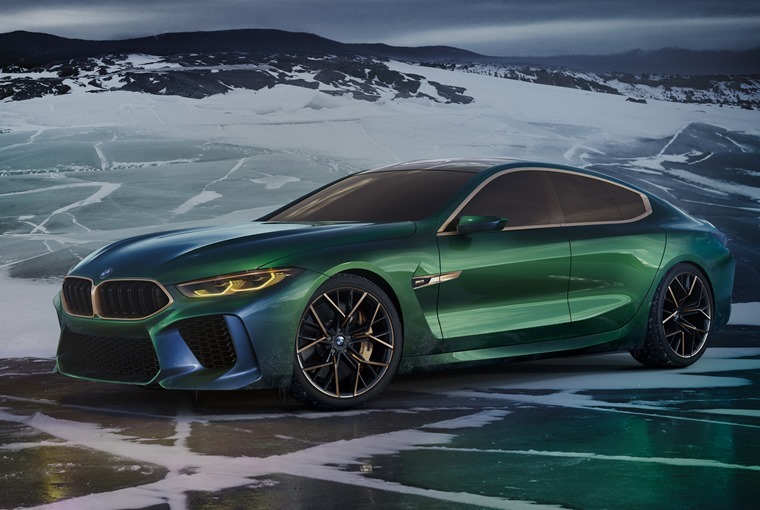 It’s only a concept at the minute, but a four-door variation of the 8 Series is expected to launch some time in 2019 and the M8 you see here is our closest look yet of how it will look. Set to rival the Porsche Panamera and all-new Mercedes-AMG GT four-door, the Gran Coupe takes its cues from the two-door, although the grille is wider upfront and there’s three huge air intakes stuffed into the bumper. Its longer roofline gives the concept a stretched silhouette, while the boot features a prominent spoiler, underneath which you’ll find a curved thin row of LED taillights and quad exhaust pipes. 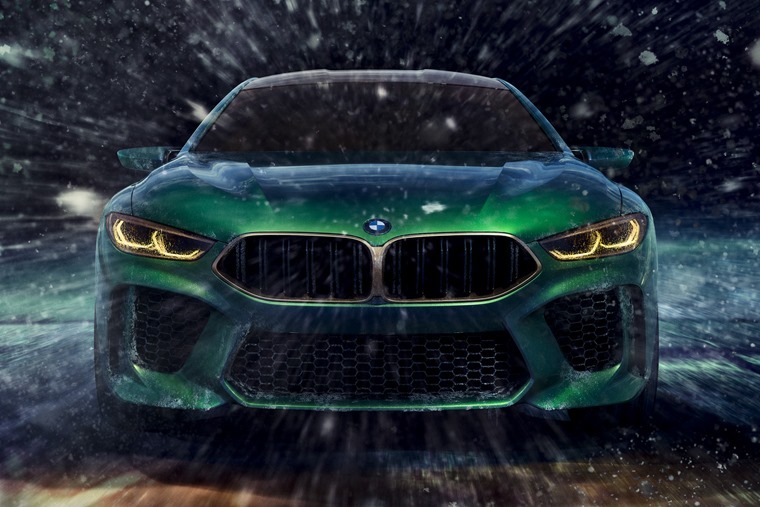 No interior shots have been released, but behind the frameless doors we expect there’ll be a typically BMW driver-centric cabin, and a very capacious passenger compartment. Technical details are thin on the ground, but it’ll likely carry over the platform of the latest M5 and feature a range of potent petrol engines. A 3.0-litre six-cylinder will make up the entry-level option, while a turbocharged 4.4-litre V8 is also likely. 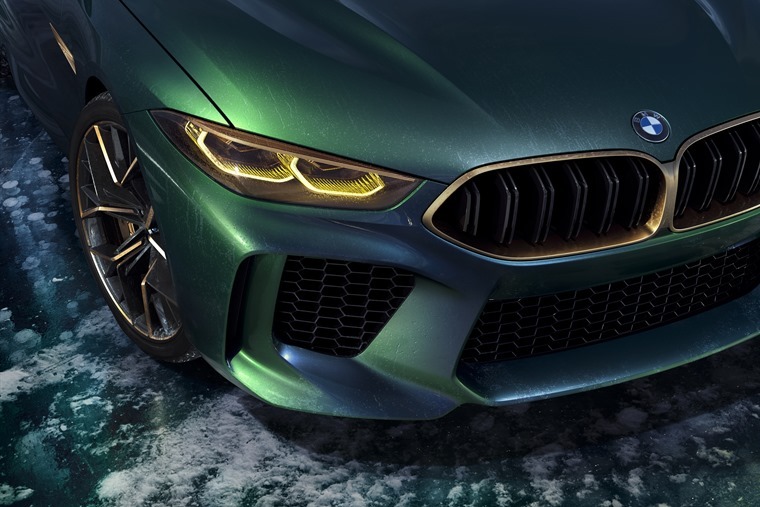 The range will be topped with a twin-turbo 6.6-litre 692bhp V12 that’s already available in the M760i. It’ll also benefit from the M5’s xDrive four-wheel-drive system and most likely come with an eight-speed automatic gearbox as standard. 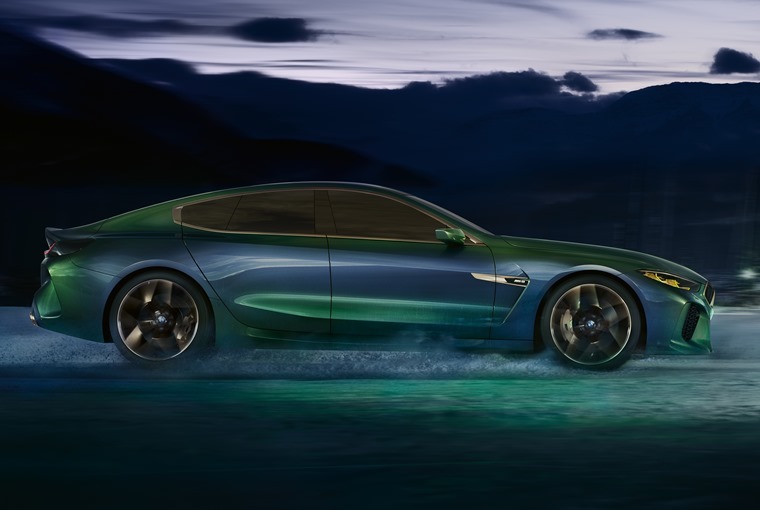 The M8 Gran Coupe is a year or more away from production, so we don’t know how much it’ll cost. It’s likely to be a costlier proposition than the two-door 8 Series though. We’ll bring you more info as and when it’s announced.